Our Library will restore the document collection of Nagyszalonta including some 4,000 items, the majority of which are books and the most precious part of which are manuscripts. The valuable collection arrived in Budapest in February 2018, following one-year of preparatory and administrative work. On February 8, 2018 László Boka, literary historian, Director of Research and Academic Affairs, NSZL, Zsuzsanna Rózsafalvi, literary historian, staff member of our Manuscript Collection, and Zsuzsanna Tóth, special restorer of NSZL traveled to Nagyszalonta in order to facilitate the restoration of the document collection of Nagyszalonta including some 4,000 items (books, manuscripts and other documents). The task of saving the document collection of Nagyszalonta and setting up a new exhibition of the so-called Broken Tower (Csonka torony) is rather complex. 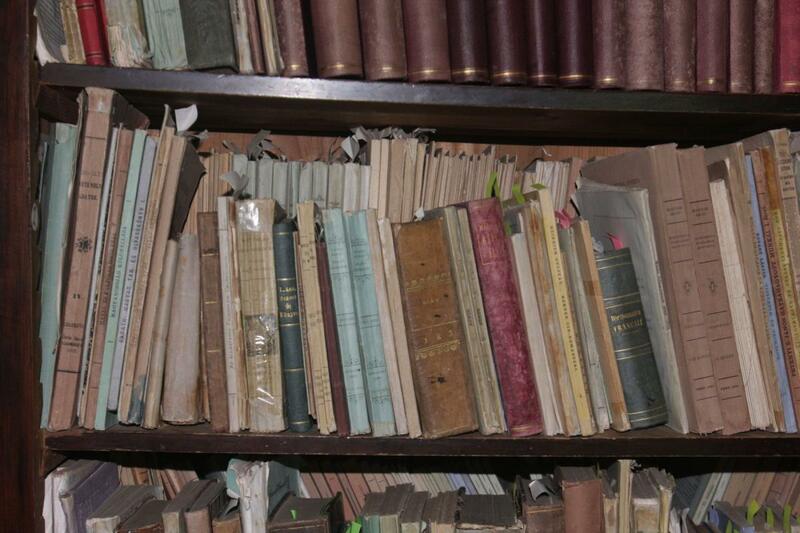 Experts of Petőfi Literary Museum will be responsible for museum work, while restorers of National Széchényi Library will restore the document collection of Nagyszalonta including some 4,000 items. Books make up the majority of the valuable collection, and the most precious part of the material consists of manuscripts. The documents have been delivered to Budapest following one-year of preparatory and administrative work. László Boka: “After restoration, scheduled to be finished by June 2018, we will solemnly return these documents to Nagyszalonta, to the keeper institution, and in addition to a temporary exhibition, we will present them organized into a bilingual print catalog together with János Arany Memorial Association. In the meantime, facsimiles, so-called noble copies are being made of the most precious documents, including Nagyszalonta-related Arany manuscripts stored in Budapest, either in NSZL or at the Hungarian Academy of Sciences, which will also be included in the permanent exhibition.